The area of this compact apartment in the center of Kiev is 45 square meters, and the MARTIN architects designed it for customers who wanted to use it as a rental object. Their requirements were that the space should be functional, and also visually attractive to the masses, who might aspire to rent it out. In addition to fulfilling all the functional customers requests in the apartment, the open layout keeps it light and open, so it seems even more. All the forces were aimed at designing a profitable small apartment area. 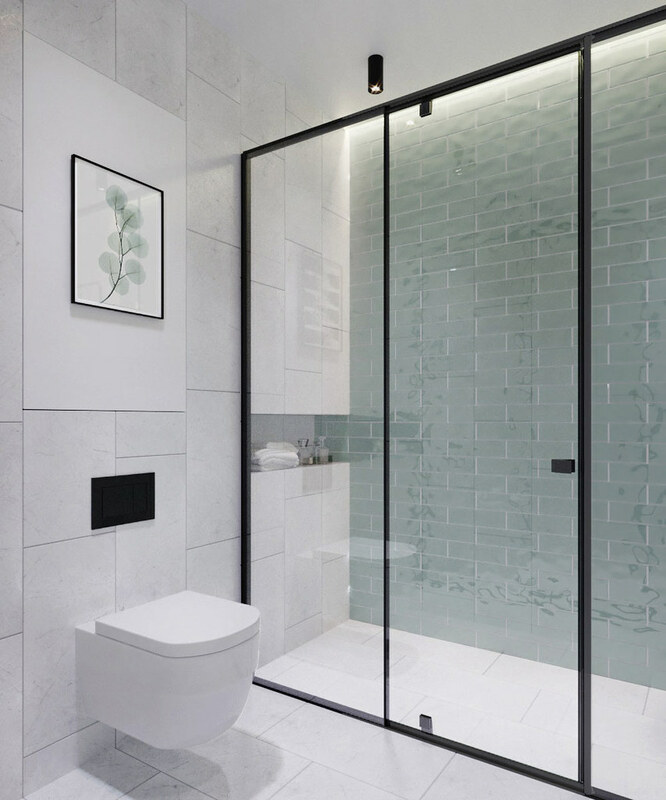 It was decided to avoid clear boundaries, and create division into zones due to individual design details. Thus, it was possible to place all the necessary areas. 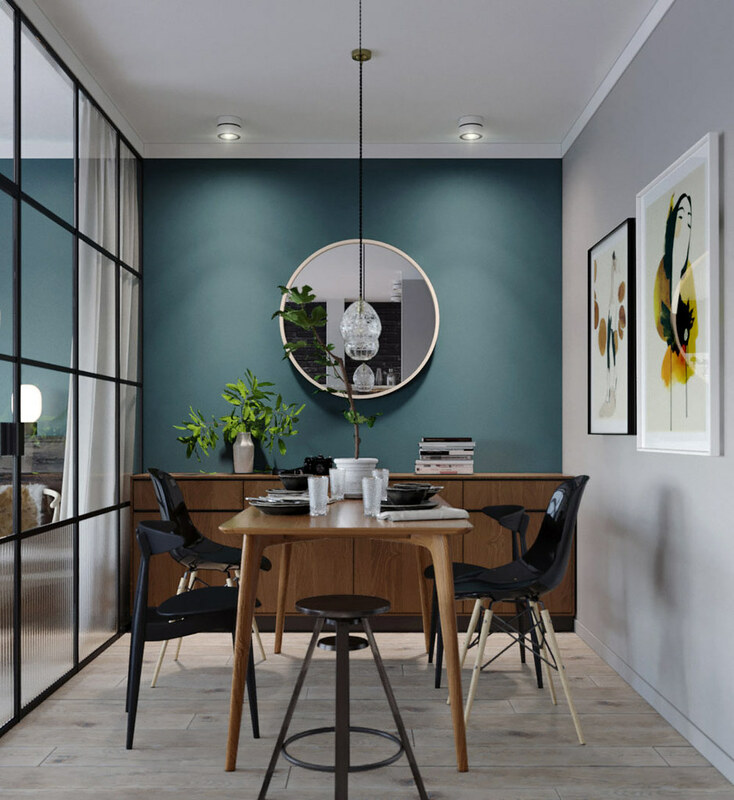 The apartment have a living room, a kitchen, a dining room, a bedroom, a shower room and storage spaces — without interfering with the overall layout of the housing. 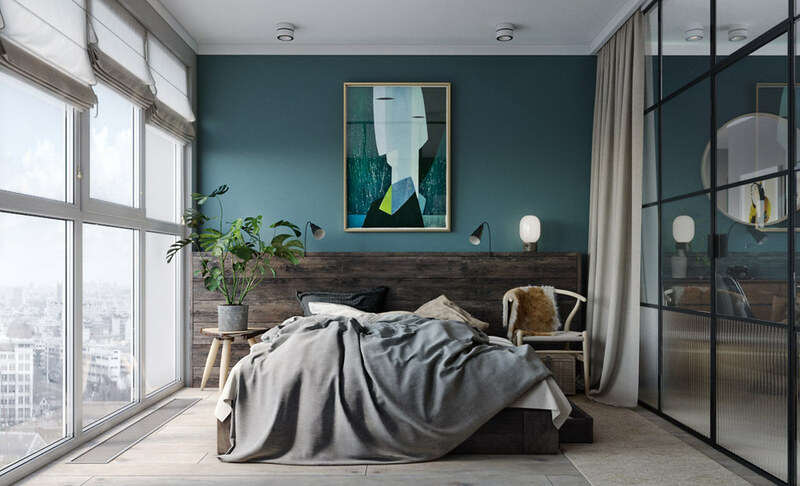 In order not to set clear boundaries even when they are needed — in the bedroom — this area was placed behind a glass partition where you can retire with the help of massive curtains. 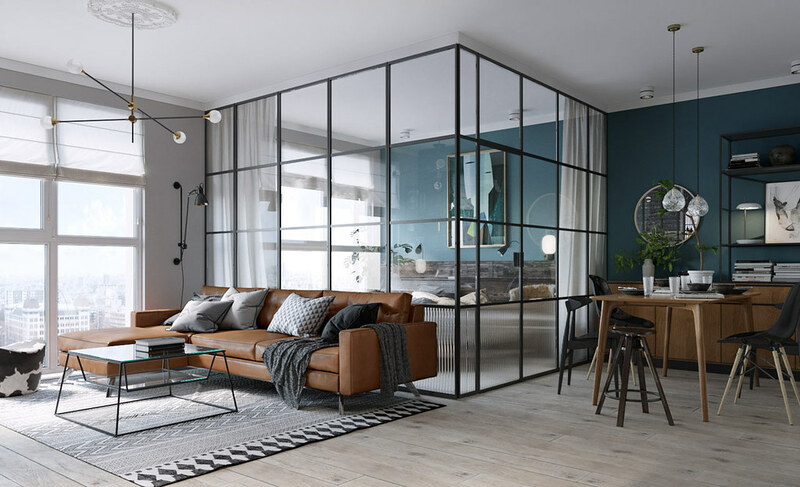 Large windows on the entire height of the wall play a key role in the interior and fill the apartment with natural light and space. 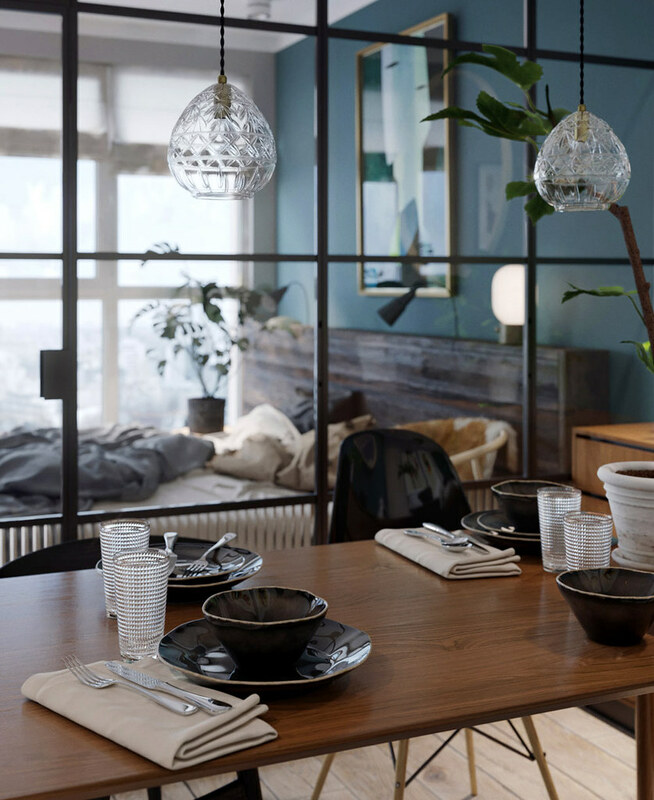 The overall color palette of the apartment is built on the contrast of natural shades: gray and black, coniferous and brown. In the interior there were used mostly natural materials: wooden flooring, wooden furniture and leather upholstery of the sofa. To highlight the kitchen area one of the walls was “ennobled” with brickwork. 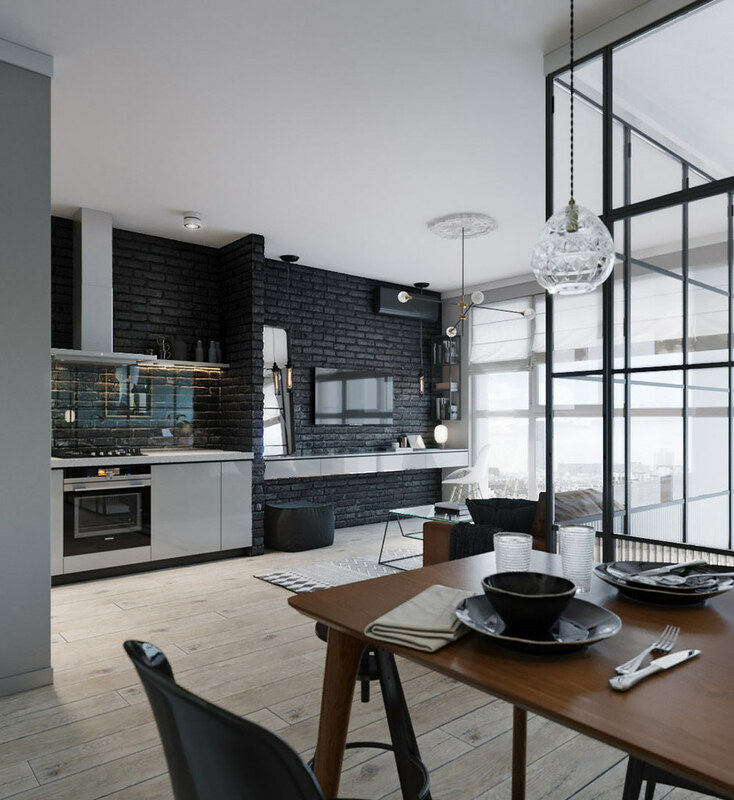 The apartment design is consistent in a single contemporary style. 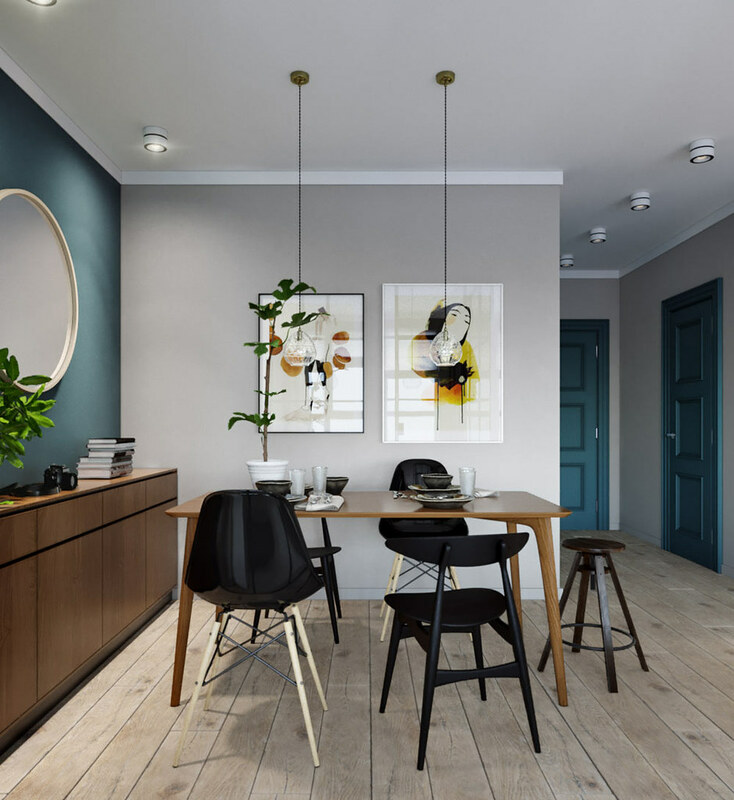 The general composition of minimalist furniture with flowing lines is diluted with details that play the decor role: paintings, elegant chandeliers and green plants. 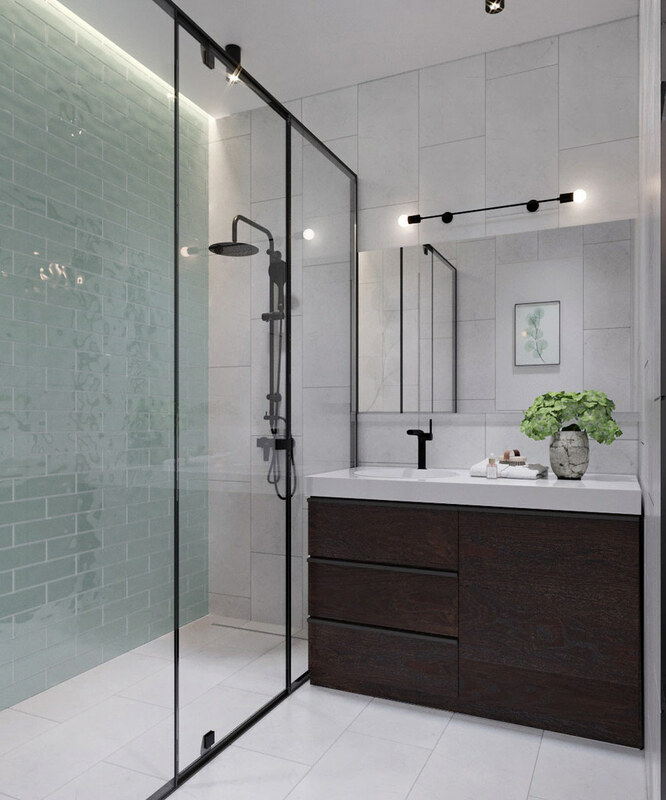 In a small and bright bathroom the shower cabin is compactly placed, but even this isolated space does not stand out from the general style of the compact apartment.